When it comes to growing veggies in your garden, you’ll want to know which ones are the easiest to grow. Here on our farm, we planted our first spring crop this weekend. It’s a nice feeling to hear those tractors working. When it comes to harvest day it’s a wonderful feeling when you can reap the rewards of your effort in maintaining your own garden. 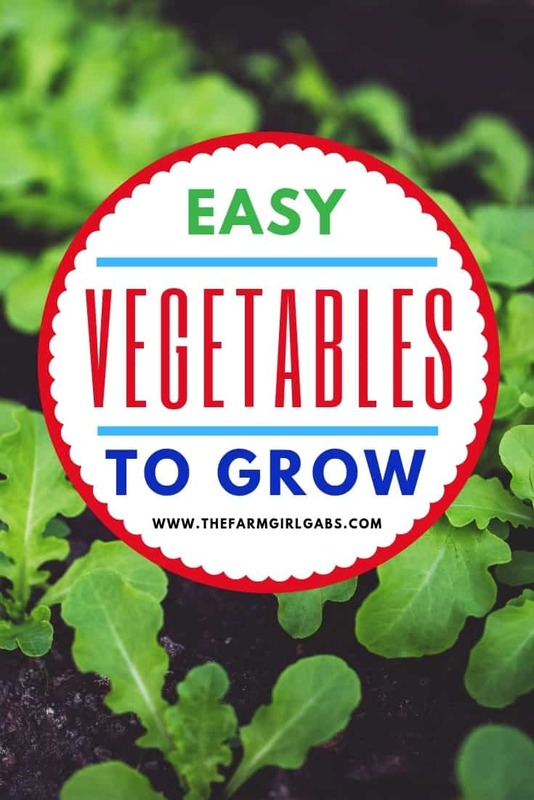 If you’re looking to start a garden this year and want to plant the easiest veggies to grow in your garden then you’ve come to the right place. Today I’m sharing my ultimate list of the easiest veggies to grow in your garden this year. Lettuce is by far the easiest of veggies to grow in your garden . Lettuce doesn’t seem to invite pests to bother it and it grows easily in an indoor garden. Lettuce is one of those veggies that you can count on planting in your garden and get a decent harvest with minimal effort. This veggie prefers to have access to moisture and doesn’t much like the midsummer heat, so it’s best to have some shade to protect your lettuce from that horrid summer heat. This is another one of the easiest veggies to grow in your garden, potatoes. These veggies need minimal maintenance but will attract voles. You simply bury the tubers in the ground. You can have a treasure hunt digging up your fresh potatoes in no time. Potatoes can be grown underground, under straw and pretty much in any way that allows them to be buried as they do grow underneath the ground as opposed to lettuce that clearly showcases its produce above ground. This easy to grow veggie is a fun one to get the kids, or grandkids, involved in growing and maintaining. Beans are a relatively easy veggie as they just need water and they’re easy to pick when they grow. Green beans also give you a pretty decent sized harvest as they tend to grow a lot of beans during the season. You can opt to go with bush beans, but pole beans do give you a longer harvest time for a plentiful bean supply. While you do need to plant tomatoes with a stake, as they’re a vine style veggie to grow in your garden, they’re for sure one of the easiest veggies to grow in your garden. Tomatoes simply need to stay watered and have access to sun, otherwise, they really don’t require much effort from you. You’ll find that tomatoes grow quite well and are often the first veggie that gardeners start with. Zucchini is one of the easiest veggies to grow in your garden. It simply needs to be planted and forgotten about, for the most part. 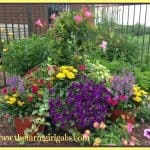 I highly recommend you only plant one or two plants as this veggie multiplies really fast. Mildew can occur in the fall season with zucchini so be sure to plant and harvest earlier in the gardening season. Click The Image Below To Download your FREE Vegetable Planting Guide. Growing your own food is such a rewarding experience. 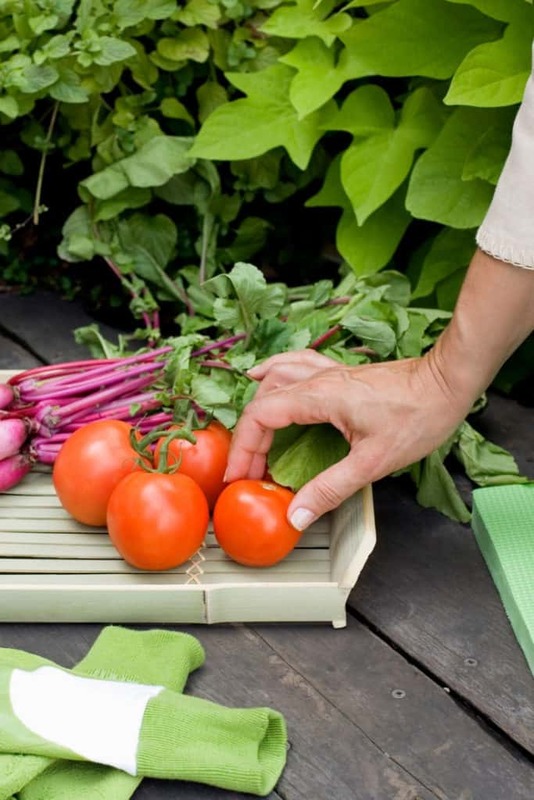 Not only is it awesome to know what’s in your food, it’s a great feeling to know that you opted to use this ultimate list of the easiest veggies to grow in your garden so that you can enjoy fresh veggies all year round with your home cooked meals. 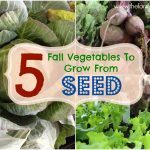 Fall Vegetable Gardening – What to Plant & When To Plant It!